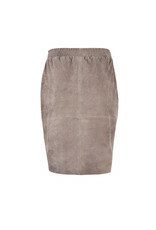 The Dante6 Comet suede skirt is back this season in a beautiful Mineral Grey. 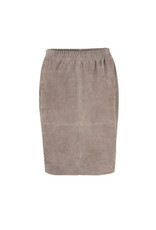 Cut from super soft suede with an elastic waistband for extra comfort. Has two subtle side splits and sits just above the knee. Available in two colours, Mineral Grey and Champagne. Combine with your favourite Dante6 blouse for a casual yet polished look.